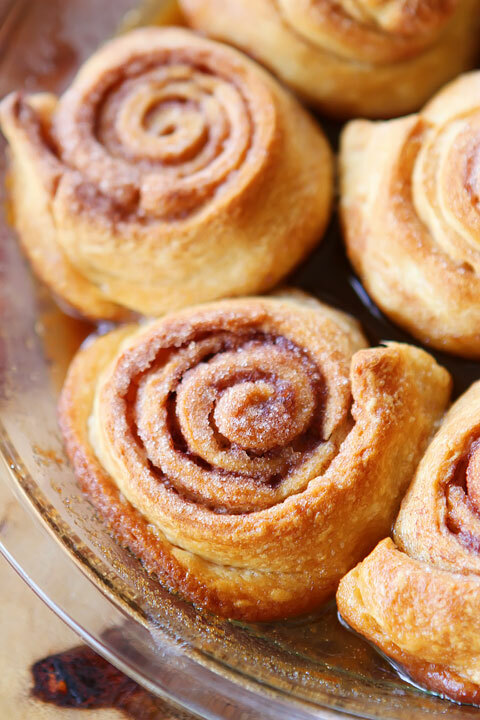 I’m going to let you in on my secret for my favorite, easiest cinnamon buns ever. They’re soft, chewy, ooey, gooey, supremely buttery, and divinely sugary. And they’re a cinch to make. I take a shortcut by using storebought dough, so they can go from oven to in-my-belly as soon as humanly possible. And as a bonus, they can be made the night before and popped in the oven the next morning. These are my go-to cinnamon buns for special occasions (like Christmas), and today, I’m making them for my sweet friend Caroline’s virtual baby shower!